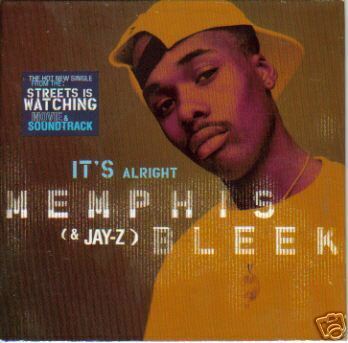 "It's Alright" is a 1998 single by rappers Jay-Z and Memphis Bleek. It was released on the Streets Is Watching soundtrack for the film of the same name. It was later featured as a bonus track on Jay-Z's third album, Vol. 2... Hard Knock Life. It is produced by Damon Dash and Mahogany, who sample "Once in a Lifetime" by the Talking Heads and "The Hall of Mirrors" by Kraftwerk for the track's beat. Its b-side is "The Doe" by Diamonds In Da Rough.